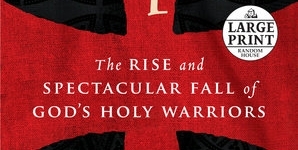 Undermajordomo Minor may not be a satisfying read, but it is a satisfactory one. It has been said that every story has already been told. Arguments can be made to refute that claim, but when broken down to their elementary particles, stories reveal that humans have covered the emotional spectrum dozens of times over. So where do storytellers go now? In Patrick deWitt’s case, the author defies all the established parameters. With his debut novel, Ablutions, he reexamined the drunkard’s attempt at redemption; a concept Charles Bukowski perfected many years ago. With The Sisters Brothers he updated and modernized the Wild West. With his latest, Undermajordomo Minor he transforms a gothic novel into a comedy of errors filled with foul language, unscrupulous characters, an underground adventure of self-discovery and, despite having so much to it already, a romantic comedy. 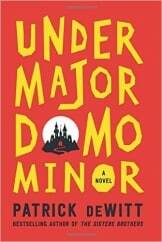 Hilarious, ridiculous, poignant and melancholic, Undermajordomo Minor may be deWitt’s most ambitious work to date. Lucien “Lucy” Minor is a liar and a failure. He loses favor from his own mother after a bout with an illness that nearly kills him. After a visit from a man who supposedly tells Lucy his future, he strikes out on his own for a job as the undermajordomo of Castle Von Aux—also because his mother rents out his room before he’s even left. He disgraces himself in front of his former love, befriends two pickpockets—one of whom whose daughter, Klara, he falls for—and works under Mr. Olderglough and Agnes, the only two servants left in Castle Von Aux as the Baron has lost his proverbial marbles and taken to haunting the castle in the dead of night. After overstepping his bounds in order to coax the Baroness to return to the castle to restore the Baron to his former sanity, Lucy finds himself at the bottom a crater called the Very Big Hole only to decide to find the courage to extricate himself from his supposed fate. This novel has ambition by the bucketful and it’s not contained only to the plot. Patrick deWitt’s prose is ambitiously takes on a classic syntax and vocabulary to tackle very modern comedic concepts and dramatic flair. For instance, while Lucy is left with no other option but to eat a fish directly from a stream, deWitt writes, “At last Lucy drew the fish to his face and bit into its flesh; and at the same moment he did this, the fish fairly exploded, shooting out a clammy glut of roe, for it was female and had been on its way to the spawning ground when captured in the stone coral.” The imagery deWitt evokes through his word choice is vivid and over–the-top, evoking a laugh as much as a cringe. 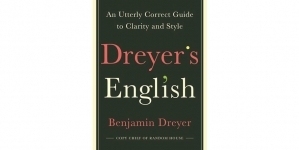 While his language could be considered highbrow or “literary,” his sense of humor has no qualms with diving head-first into blue territory. While the two men Lucy meets at the bottom of the Hole trade insults back and forth while attempting to determine who should lead their expedition to freedom, deWitt creates a contemporary repartee that, if updated, could be found on any sitcom. Unfortunately, despite deWitt’s mastery of the language and his abounding narrative ambition, Undermajordomo Minor at times suffers from an overwhelming sense of purposelessness. While it is hysterical and zany, while the prose reads like smooth jazz, while the story never ceases the page-turning urge, the question of “Where exactly is this going?” seeps in early and returns often. By the novel’s closing pages, that question is never answered. 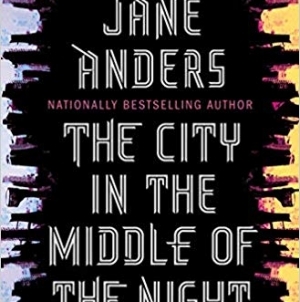 Yes, the plot arc slopes to a close and the characters change, but the satisfaction of reading this novel doesn’t come from actually finishing it. Read Undermajordomo Minor for the beautiful prose, the innumerable laughs, deWitt’s talent for taking a concept and turning it on its head and the relentless entertainment. But if you go into it expecting anything more, you’re going to be disappointed. Ambition certainly abounds but, as all stories that can be told have been told, too much of a good thing is sometimes a bad thing. Don’t let this stop you from reading Undermajordomo Minor because there is plenty to enjoy. But maybe you should pick up The Sisters Brothers or Ablutions first. Both novels have everything of the new novel with a bit more substance. 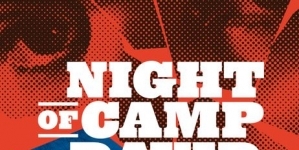 After you’ve done that, enjoy this novel as the icing on Patrick deWitt’s literary cake. 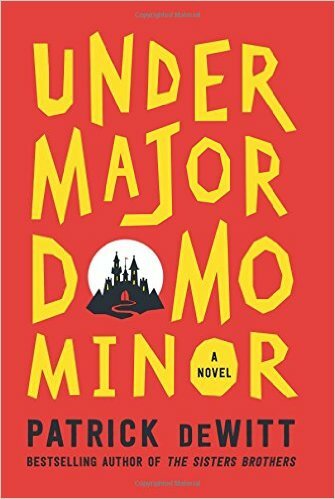 Undermajordomo Minor may not be a satisfying read, but it is a satisfactory one.